In the summer Roger's PA Nicky is going to be taking early retirement. We will miss her! Yesterday morning Roger, Mary and Tim travelled to London for a very special event. Roger has become the recipient of the Thomas Cranmer Award for Worship as part of the 2019 Lambeth Awards presented by Archbishop Justin Welby. We are utterly thrilled and delighted for Roger. Roger has followed a distinctive path within the charismatic evangelical stream of worship. His focus has always been on writing music which is accessible by the local church and does not require complicated forces or hi-tech equipment to perform. He has always been missional - motivated by a desire to share his own, strong, personal faith in Christ, and for others to catch that vision. 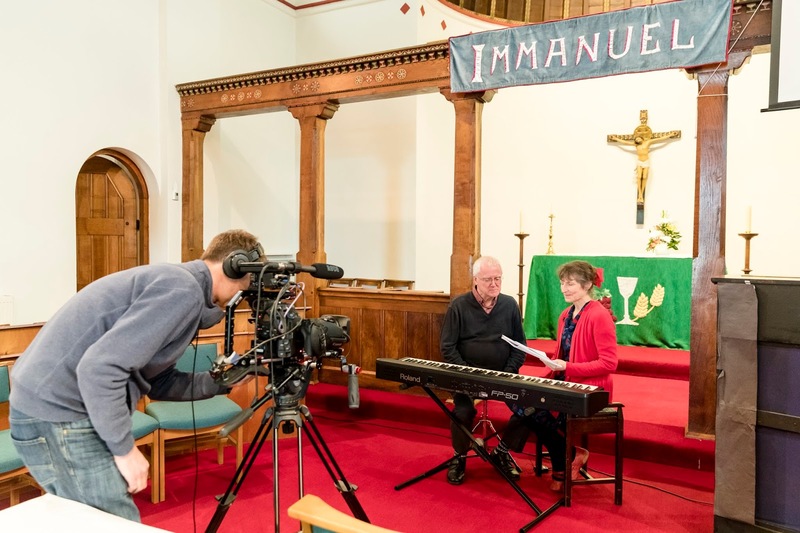 Roger is a faithful Anglican – a licensed Reader in his Diocese – and one who has always respected the old alongside the new – the fact that so many of his musicals use traditional hymns bears witness to this. 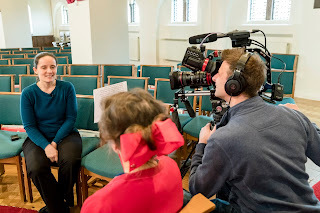 He is also alive to the possibilities for the interplay of renewal music with Anglican liturgy – for example, at the Eucharist, interweaving hymns, songs and instrumental improvisation within a traditional liturgical framework. He has the rare gift of enabling others to discover their God-given identity in Christ through the power of the Holy Spirit and has used his musical gifts unstintingly towards this end. If you can't go first class on a day like this, when can you? This month has been a rather busy month for me. Not that others aren’t busy, but it has been interesting fitting it all in. I have been doing all sorts in and outside of the office that have kept me out of mischief. The first big thing I did this month was present the CMM Choir talk. I spoke about Letting Go and everything that entails with giving our burdens to God so that he can guide and carry us along the path he has set for us. 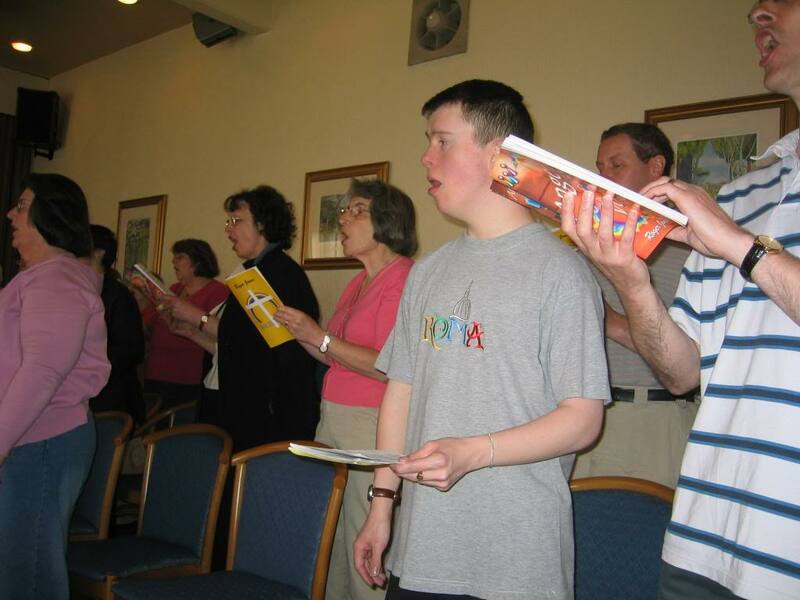 When I was writing it, I had to think about a life event that I could tell the choirs about, and the only thing that came to me was when I was very poorly, I had nearly lost my faith but then God gave me someone to trust and support me through a CMM Music week. Now, this was very scary for me to even think about telling anyone, as it was a time in my life I have always hidden, but whenever I tried to think of anything else, I hit a brick wall. God told me it had to be this, that people needed to hear about it. Due to circumstance I struggled to trust people, but I met Yvette (now a very good friend) that week, I hadn't met her before, but I knew I could trust her with everything. She made no judgements and spent most of the week with me, supporting me, and guiding me back to God. She gave an epilogue which hit me, she spoke of the footprints poem and we sang King of Kings which has always meant a lot to me. That epilogue wasn’t her original idea, that plan came in the early hours of the morning. I broke down and gave God everything, I felt the Holy Spirit and I could feel and hear God. The talk went very well at the choirs and there was a good response from it afterwards, and people came and talked to me about something they were struggling with. God is here always, and in the words of the poem, ‘During your times of trial and suffering, when you see only one set of footprints, it was then that I carried you.’ Trust in him and he will guide you along the path he has set for you. For the past couple of weeks, I have been doing an exciting job in the office... I really enjoy sorting and arranging things out. I know, I'm strange but the best people are! 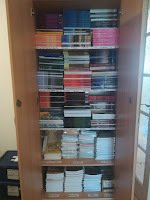 I have completely rearranged our ministry copies cupboard at the office. I couldn't find room to put things that needed to be in there and I felt like doing a bit of sorting. So, I took out all of the music, and scrubbed the old stickers off so I could start from scratch. 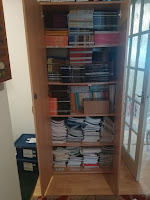 All the spines now face outwards, that way fitting more onto each shelf, all musicals in alphabetical order and there's now even space to put more things in there miraculously. It sounds boring but I had a lot of fun doing it and it looks much easier to find things now... as you can see from the comparison of the pictures. Since then, I have carried on with my arrangements for Flute and Clarinet for 'From Pharaoh to Freedom' which I have now only got two more to do and then it's all done! Yay!! It has taken a while but hopefully it should sound good with the choir and backing track. I am hoping to do arrangements for Wildfire after doing these in preparation for the Music week in May. 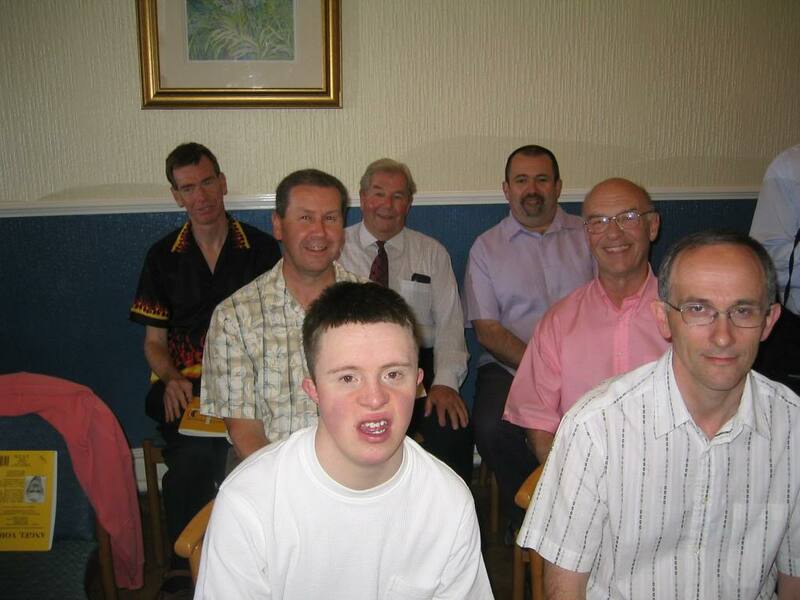 Outside of the office I have been rather busy joining another choir. As I have mentioned before I am in The People's Orchestra, but this month they have started up a choir called The People's Choir. I am having lots of fun in the choir, our musical director is fantastic, keeping the rehearsal moving so it doesn't drag. We are taking part in the Orchestra Concert on the 7th April which only a couple of weeks away now! We are singing The Greatest Showman and some bits in Dragonborn. With only 4 rehearsals before the concert, we've done amazingly to learn these two well. The Musical Director certainly knows what she's doing. I'll be multitasking with two tops, two instruments and the choir on the 7th... that will be interesting to see how it goes. At school I have been out on a school trip to the NEC, which is huge and absolutely terrifying to take a group of young children to. I have never been on a school trip with such large crowds and having the responsibility of looking after my little group. We had a good day, and it also showed me the way in which a school trip is organised now, there's lots to do in order for it to go smoothly. It was good to experience that, knowing what it would be like when I train. Afterwards when we got back, there was a training evening on and I was asked if I wanted to along as it was an Autism training session and as I work closely with children with Autism, we thought it would be a good idea. 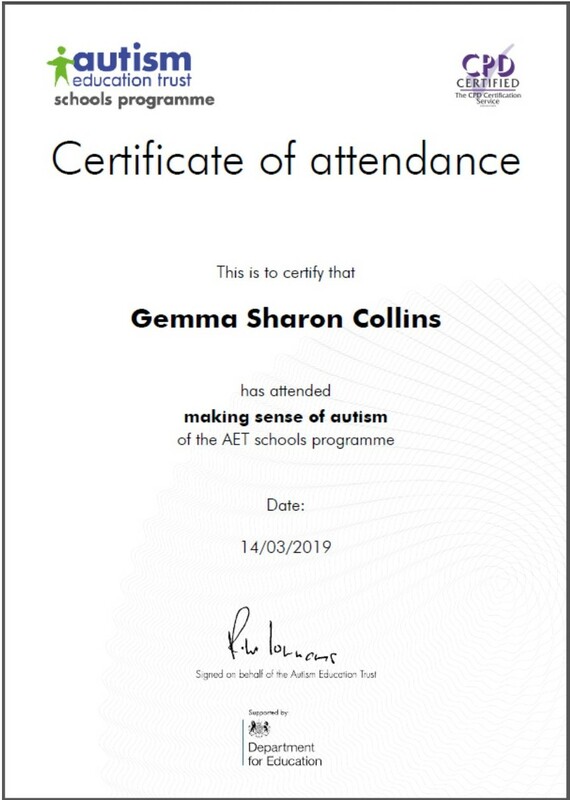 So I am proud to say now, that I have achieved my Autism Level 1 training!! Plus I have finished off my personal statement. I need to delete a few words but I always write too much with everything! One thing I got to be a part of this month was a concert with Jazz Church Big Band which was amazing. Because I have joined The People's Orchestra, I haven't be able to go along to the Jazz Church Band with Helen as it clashes. As this concert was on a Saturday, I was able to take part and it was so much fun. I was also able to play Tenor Saxophone which is one that I haven't played in some time, so it was brilliant to be able to go back and play it with everyone. Sax is one of my favourite instruments for the richness of the sound when it's played low, it's beautiful and I had a fantastic time being a part of it! I will certainly play with them again when I get the chance to on the Saturday gigs :D.
The latest CMM event I have been on was Worship works in Alcester with a fantastic team of people, it was a brilliant evening, the congregation there were ready to receive the Lord and listen to everything that Roger and the team of us had prepared. They were ready for the Lord to be there and take on board things that Roger brought to the evening. This weekend I am off back up to the Yorkshire area for a Spirit works event in Ilkley with CMM, please pray that it is going to be a great weekend and that everyone there is ready to receive the Holy Spirit in anyway that God chooses. I am leading a praise block again but I am really looking forward to that this time round. 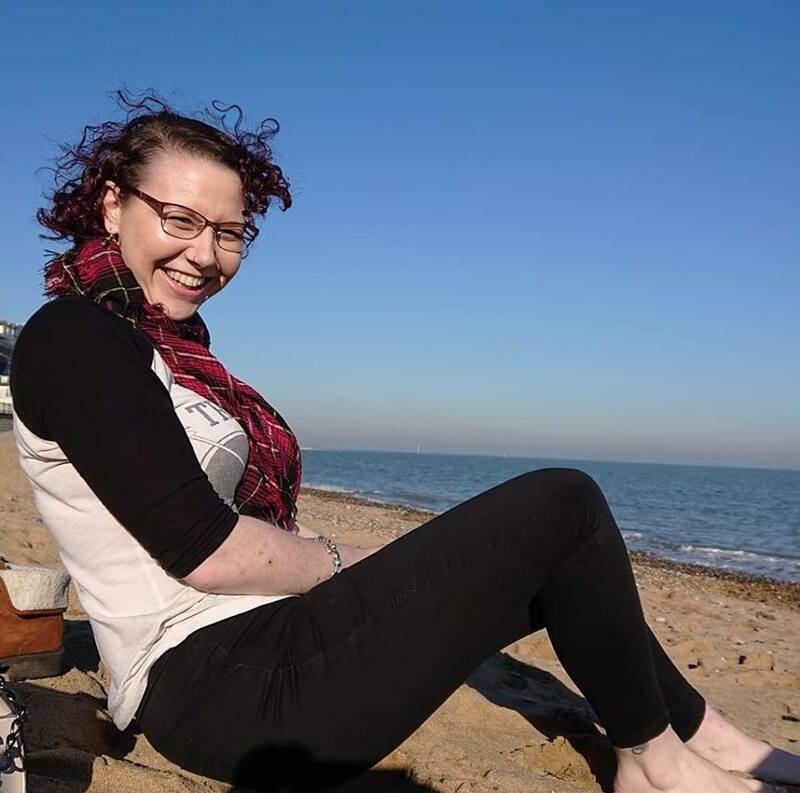 Apologies for this one being a very long blog, but there has been a lot going on in this month! Until next month...may God carry you along your path and you give him your struggles and burdens. We had the sad news this week that our dear friend Jonathan Lewis has passed away peacefully. He had been in a Marie Curie Hospice in Halifax for some time, first for respite care, but more recently full-time. 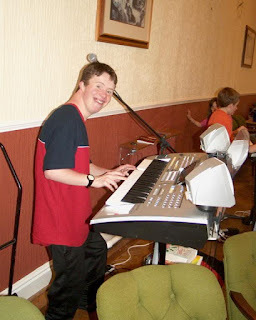 Jonathan loved singing at our residential music weeks at Grange-over-Sands and Scargill House - though in recent years he just came to watch, as his heart was not strong and he tired easily. But his beaming smile will be remembered by all of us who knew him and loved him. 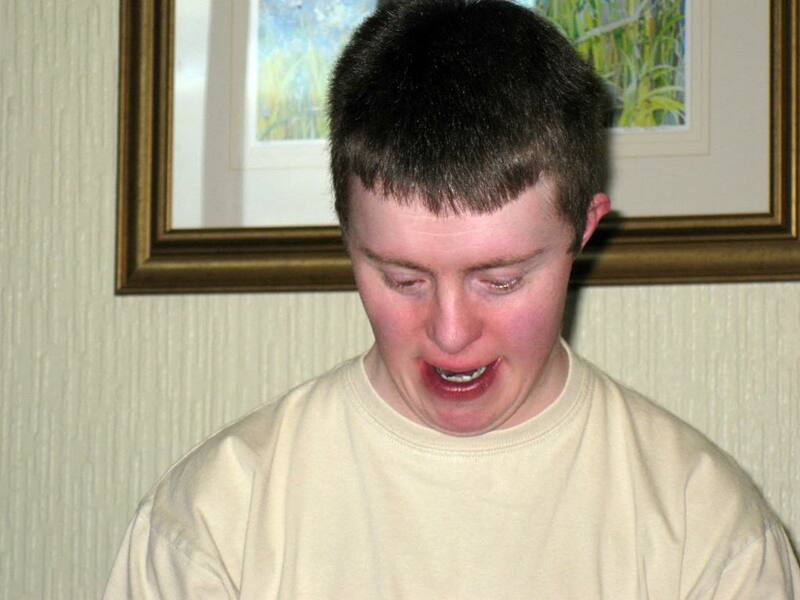 My best memory of Jonathan was from the first Scargill music week he attended: at the guests' concert he sang Roger's song 'I can't understand it and I can't explain it - Jesus has changed my life.' He then ran to his mum, Maureen, and was engulfed in her arms. I don't think there was a dry eye in the room! We were aware that Jonathan acted with 'Mind the Gap' theatre company, but not how well-loved and respected he was as an actor. "I've been asked to pass on some deeply sad news. The actor Jon Lewis died on Friday 15th March. 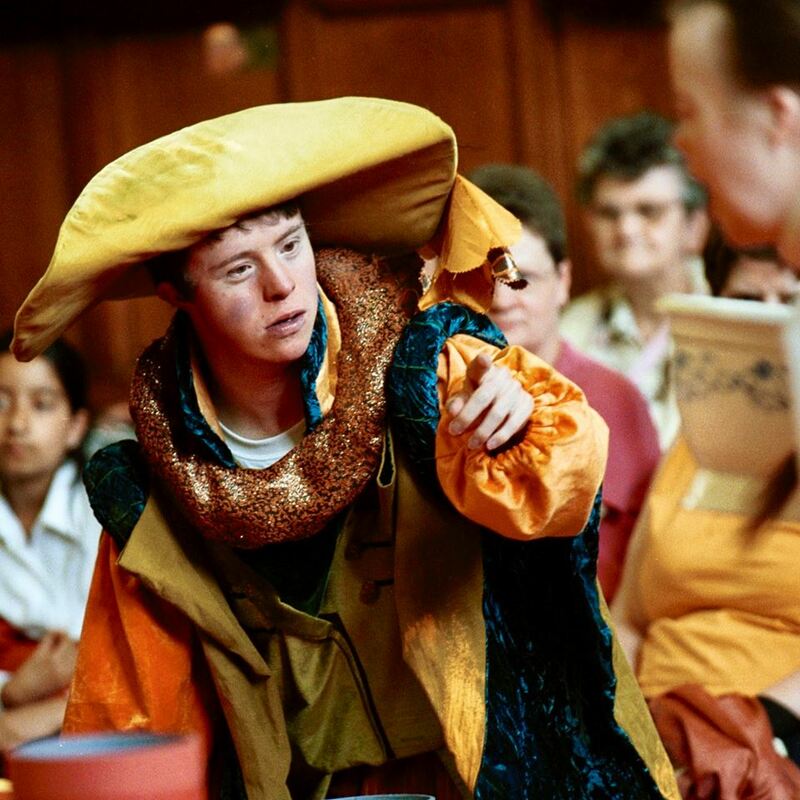 I've known Jon since 2001 when we worked together at Mind the Gap Theatre on the Emperor's New Clothes, performed at City Hall in Bradford. He played one of the swindlers with great charm and guile. 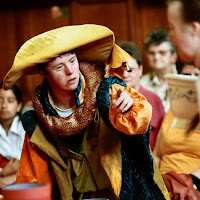 Perhaps his finest performance was as a Christian in Mike Kenny's version of Cyrano (he also played a Nun in that production!) Or in the radio play Coming Down the Mountain, by Mark Haddon for BBC Radio 4. His double act with Anna-Marie Heslop on the red couch was one of the best 'Richard and Judy' impersonations I have ever seen, repeated for numerous conferences and events. Aside from being a talented performer, Jon was a warm, kind-hearted and funny man. I saw him a few days ago. He was struggling to speak but when I walked in he beamed, and I beamed back. We beamed at each other for 20 minutes. His mum, Maureen, is the kind of mum we all want - a quietly spoken fighter who loved Jon and his sister Sam. She made sure he got what he needed and led a full and active life. The funeral is at 1.45pm on Wednesday 3rd April, at Illingworth Methodist Church." This blog post will be updated each month with Roger's news - if you click on the 'View Online Version' at the top of Roger's email, this is where you are sent! On Thursday last week Mary, Tim and I travelled to London for a very prestigious occasion. 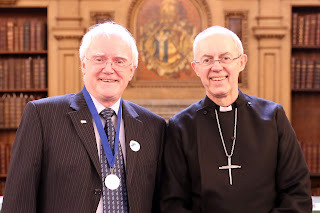 As part of the Lambeth Awards 2019 I have been honoured with the Thomas Cranmer Award for Worship. It was incredible to gather in the library at Lambeth Palace with other award-winners to meet Archbishop Justin Welby, particularly as it is likely that in that very room (very cold room!) Cranmer himself wrote the Book of Common Prayer. We enjoyed our day out in London – you can read more and see some photos here on the CMM Blog. First new publication – Jones got rhythm! Tim’s new album arrived here the CMM office only on Tuesday. It is an instrumental album featuring three generations of Joneses! Tim has taken my songs (and one of his own) and re-imagined them in more of a jazz-style, featuring Michael Jones on various guitars. We’re also very proud of my son Andrew’s wonderful artwork. £9.99 on the CMM Website, and soon to be available from iTunes etc. On Saturday 2nd March we trialled my extended version of the Torn Curtain Communion Setting. For this day we produced some booklets containing vocal lines, piano accompaniment and guitar chords. We still have some available for £3 each – do contact Tim on sales@cmm.org.uk if you would like one. Annie and Helen are still working hard creating a fuller download for churches which will contain instrumental parts, pew cards and PowerPoint files etc. More of that in another mailing. The full length videos from our launch day are now available, so if you are wondering how the Communion Setting works in practice, you can see it all in a video. Click here for the video that includes the reading and the sermon, or follow this link for a video that misses them out! Also, don’t forget to get the 12th October in your diaries – another choir and orchestra day to launch the TORN CURTAIN the Musical! We are so sorry that after nearly 10 years with us, my PA Nicky is going to be taking early retirement. We will miss her very much. We are hoping to find a replacement. Do see our basic job advertisement on our blog, and do contact roger@cmm.org.uk for more details and an application form. For the first time we’re opening up our annual supporters’ evening to anyone who would like to come! In the past it has been a meal for our Trustees and those very local to us, but this year we are going to change the format and have music, worship, prayer, my annual ‘State of the Union Address’ and some light refreshments. You are all most welcome to come. Thursday 9th May, 7.30pm, Catshill Baptist Church, Milton Road, Catshill, Bromsgrove, B61 0NA. Please let the CMM Office know if you are going to attend – office@cmm.org.uk or 01527 576440. We’re so excited about all that is coming up over the next few weeks. Tomorrow Mary and I, Annie and a CMM team are leading a Worship Works day at the Applethwaite Centre in Windermere, Cumbria. There is still time to book – visit https://www.cumbriachristianlearning.org.uk/event/worship-works/ if you want to book. Annie is leading a couple of musical-in-a-day events – From Pharaoh to Freedom in Hinckley on Saturday 27th April, and Apostle in Basingstoke on Saturday 18th May. Do contact events@cmm.org.uk for more details on either of those. Annie is also going to be pretty busy as the CMM Choir are about to begin their tour of the West Midlands with From Pharaoh to Freedom. See their Facebook Page for more details. Helen is leading worship at the YPray? 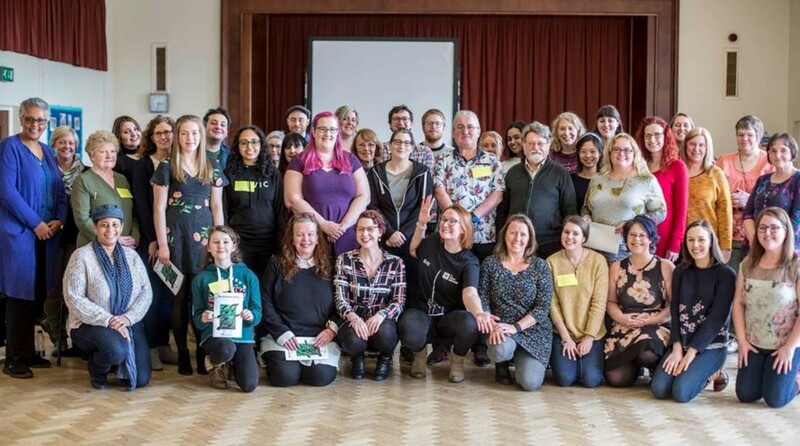 Conference for young women from the Women’s World Day of Prayer organisation at Swanwick on 3rd-5th May – visit https://www.wwdp.org.uk/y-pray-2019-3/ to book. Finally our first Wildfire Music Week of the year is fast approaching at Rydal Hall at the end of May. 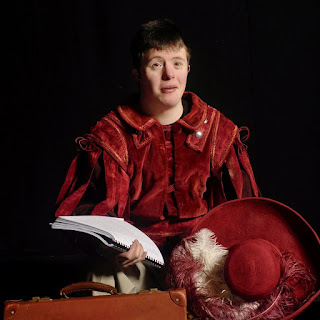 It is fully booked, but you can still come and watch the final performance at 8pm on Thursday 30th May. If you can’t manage that then we’re staying in Cumbria for a Spirit Works day on Saturday 1st June at Abbey Road Baptist Church, Barrow-in-Furnace. More details from events@cmm.org.uk. Over the last year I have interviewed a number of wonderful worship leaders and songwriters for my Heart & Soul radio show each Wednesday evening from 6-8pm on www.southbirminghamradio.com. Helen has just begun turning some of these interviews into a Podcast, so if you are into podcasting, why not subscribe? Search for ‘The Christian Music Ministries Podcast’ or ‘The CMM Podcast’ on your podcasting app, and it should appear. If you subscribe it will automatically download for you each time we produce a new episode. The first episode featured my interview with Jonathan Viera, and the second episode due out next week contains an interview with Sue Rinaldi. Enjoy! If you don't already podcast (and why not?) you can listen to the first episode here. We don’t always talk about it, but in order to continue this ministry we totally rely upon PRAYER and FINANCIAL support. Would you please consider supporting us in this way? It’s been a long email this month but we do love to keep you in touch with all that is going on. At last - some promotional material! It has been a long time coming, but finally on Saturday 2nd March we managed to video some promotional material for CMM! Stuart and Victoria from Kettell Productions came to the Torn Curtain Communion Launch in the morning. First of all they filmed Helen talking about what is CMM. Then Annie spoke about why a musical is a great thing to do at your church. And finally they filmed as Roger and Annie chatted about the Torn Curtain. They also filmed the whole of the launch, so we'll be getting that up on YouTube soon. Helen - What is CMM? Annie - Why perform a Roger Jones Musical? The full video including Helen and Annie's bits too. 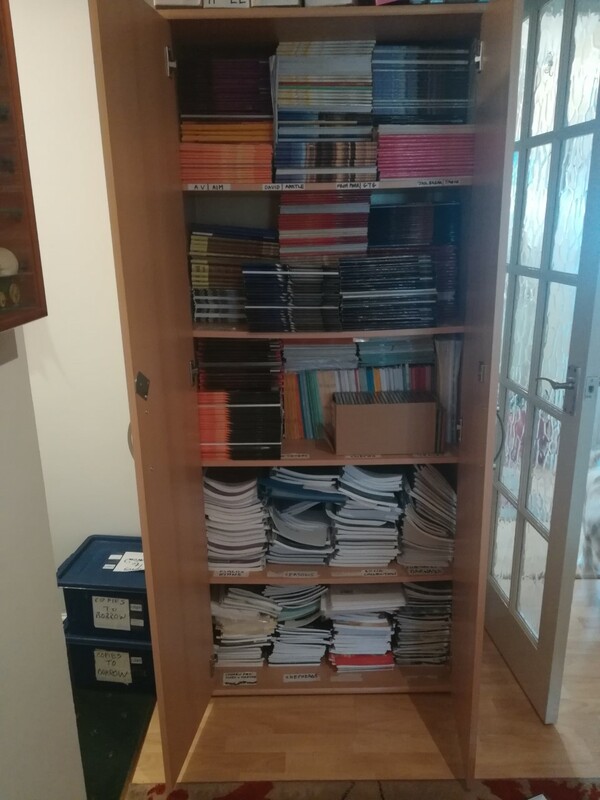 Yet another month has passed and it’s time again for me to tell you what I’ve been getting up to. February has been a bit of a mixed month. A few new challenges tackled and a well needed week off. I have started to arrange music for myself for flute and clarinet for productions of From Pharaoh to Freedom with CMM Choir. It’s always hard knowing what to play and on which instrument. I am singing in the alto section this year for choir as it’s a chance for me to do something different, I’m enjoying it very much. 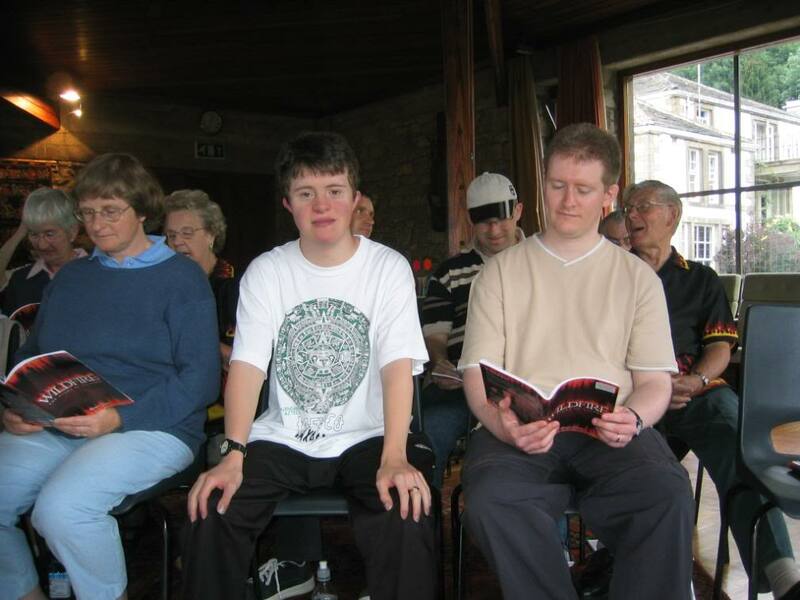 As this new year started, Roger said that he would like me to give one of the talks during the choir rehearsal. I have written it this last week with Helen's help, as I have not done this before and talking in front of adults is not one of my strong suits. Children I’m okay with, but adults make me very nervous. I found it quite hard to write but I think it will help myself and others as it includes a personal story to help explain things. It is a way to express to people just how much the Lord has helped me and shown me I can do everything through him. Also, this month I led a worship block on the Spirit Works event in High Bentham. I was very nervous, as I am used to playing up at the front of church with Roger and the team, but not leading. I quite happily hide behind my flute when I’m at the front. So for this I planned what songs I wanted to do, my prayer and a short verse from the Bible. I kept it simple, keeping to songs that they would know so it would be more relaxing for myself and the congregation. I got up at the front and I felt so confident, the Holy Spirit was certainly with me. I had been so nervous but when it came to it, it was like I’d done it hundreds of times and I wasn’t nervous anymore, I sang with God and He gave me all the strength I needed to do it. I am very pleased with how it went. I am still working on the Pharisee promotional video for CMM. This month I finished the music compilation, cutting snippets from 18 songs down to just over 7 minutes. I now just need to sort out the pictures for the video and try and get the timing right (which for a perfectionist is a difficult hah...). Before we had our half term holiday, I had to go on a teacher training day with the school I’m with. Even as a volunteer, I knew it would be a good day to learn more about classroom management and to hear how the trainer explains things. I learnt a lot from the day, and it was good just to spend some time with the teachers talking about going into primary school teaching. I have completed the application now and I just need to do the final edits to my personal statement then I will send it off. I'm terrified! I stress about interviews, so there’s a lot of prep and homework to be done. As it was half term, I took the chance to take a holiday. I did a bit of a tour of the country in the end; I originally planned to go down to Kent to visit a good friend for a week and then come back, but unfortunately, after my week in Kent I had to attend a funeral of a close friend I lived with a few years ago from Cumbria. My week in Kent was the hottest holiday I think I’ve ever had in February. I relaxed on the beach with a book, had a few walks, ate from the chippy on the beach on my last day - it was the most relaxed holiday I’ve been on for a long time! Just what I needed to recharge my batteries. I travelled up to Cumbria from Kent which was a very long journey, and the funeral the next day went as well as it could do. It was one of the hardest I’ve had to attend but as he loved the Lord, he is resting with the Lord and at peace. 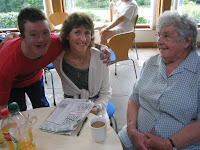 I was able to spend some time with our friendship group which was important for me to be able to do as when I'm in Birmingham it’s hard to see them. From there I travelled to Manchester to go and see Les Misérables which was phenomenal. It is one of the only shows you can see with a cold and people don’t mind because they just think you’re crying haha. It was also good to catch up with friends in Manchester that I haven’t seen for a while. We did lots and lots of walking, and it was nice to have a shopping/explorer day 😊. Now I’m back in Birmingham, it’s back to the real world of work and I’m ready to get stuck into this month! Batteries charged and ready to go 😊. I hope you all have a good month and know the Lord is always by your side. 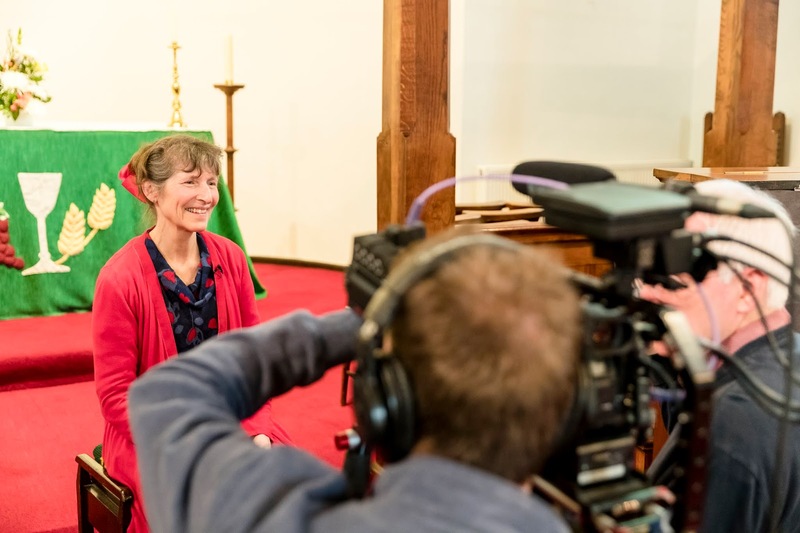 Transcription of Helen's sermon from the Torn Curtain Communion Setting Launch, 2nd March 2019. One day when I was about 14 years old, some friends came to visit – two boys, the older one, Luke, was my age and the younger one, Simon, was my sister’s age. We went to the local park together without our parents, and as they were boys, they brought along some balls to play with. One of the things they brought was a cricket set – ball, bat, stumps and bails – probably some wicket keeper pads and gloves too knowing them. Our local park was lovely – it had a great play area, a basketball court, another multi-purpose games area and two lovely big cricket pitches. So naturally we went straight to one of the cricket pitches. We got the stumps out and hammered them into the ground with the bat – bang, bang, bang. Then we took it in turns to stand guard while someone else bowled. It was brilliant. I’d never played on a proper pitch before. Then, after a while, I looked up to see a very red-faced man approaching on a roller. After hurling not an insignificant amount of abuse at us, he proceeded to repeatedly roll over the area where we had been playing for the next half an hour, as we sheepishly moved off elsewhere to play football. It appears we unwittingly desecrated the hallowed turf of Birstall Village Cricket Club. In my school, just as in any school, there was a special place that no children could enter. The staff room. If we needed a teacher urgently we would go and stand at the end of the corridor that led to the staff room and hope to catch another teacher on their way in so they could pass on the message. I always felt quite embarrassed when I had to do this – they were never happy passing a message on, and the teacher I wanted almost never wanted to be disturbed. A couple of years after I left the school, I returned for a special event, and I was asked to go and wait IN the staff room. For the first time ever, I entered the forbidden corridor. My heart beating fast, I slowly walked down it and round the corner, and into the inner sanctum itself. There were comfy chairs. There was a kettle. There were fascinating lists up all over the walls – lists of exceptionally bright children. I had been permitted in to the sanctuary but I still did not feel like I belonged. I didn’t settle down into a comfy chair – I perched on the edge of one. It simply did not feel like home. There are some places you just can’t go unless you are qualified. And there is a place we can go that we just shouldn’t ever be able to. That is into the presence of Almighty God. Just a little glance around us at the beauty and glory of creation makes us wonder quite how much more glorious the one who created it must be. Just a little think about everyday life and how hard it is to live honestly and selflessly makes us wonder quite how wonderful Jesus, the one who lived without sin, must be. Just a little glance inward at our own hearts reveals the complexity of feeling – what it means to have an inner life, to have a spirit – and this makes us wonder how much more incredible the Holy Spirit must be. But the amazing miracle of it all is that not only has a way been opened for us to come into the presence of the Almighty, but we are welcomed with open arms and encouraged to feel at home. The name of the communion setting we have been learning today is The Torn Curtain. The curtain was a feature of worship for the children of Israel right from when they first built a tabernacle in the wilderness to carry around with them. Ordinary people were able to come in to the outer courts area to worship the Lord, and then specially consecrated priests were able go further into the Holy of Holies, but then there was an impenetrable barrier – the curtain – which blocked the way to the Most Holy Place. Apart from on very rare, very special occasions, no one could go beyond the curtain. At the time of Jesus the temple had a huge curtain. Josephus, the Jewish historian living roughly at that time describes the curtain as incredibly beautiful, embroidered and woven in different colours that represent fire, earth, air and sea. Other ancient Jewish sources say it was 60ft tall, 30ft wide and about 4 inches thick. That is a serious curtain! The reading Alan read for us is so hard to hear and yet breath-taking. I love the little detail of the criminals hanging beside Jesus. I love how it showed Jesus knew what was going on and what he was about to achieve. “Today you will be with me in paradise.” This criminal, the last person who would be able to enter in to the Most Holy Place is invited into glory by Jesus himself. Two verses later, the curtain is torn. That 4 inch thick curtain rips from top to bottom. God, through Jesus has re-written the rules of holiness. The criminal finds himself welcomed with open arms and we too can find the grace and mercy that is required. When I was a teenager I attended a conference called Easter People at the Spa Centre in Scarborough. One night I remember going into he ballroom and sitting upstairs. We had a wonderful evening of worship and Bible teaching, and I remember towards the end the band were singing ‘Be still.’ When the second verse began I distinctly remember sensing the ‘glory of the Lord shining all around’. In my mind’s eye I could see the most amazing light shining in the centre of the space. Everyone was worshipping, basking in his presence. I simply did not want to leave. I wanted it to go on for ever. I was home. Better is one day in your courts than thousands elsewhere. We are not invited into the Most Holy Place as sheepish schoolchildren sneaking in to the staff room. God’s presence is our home. There is no better place to be. And Jesus has made the way. A few months ago, Roger received what seemed like a most unlikely email. 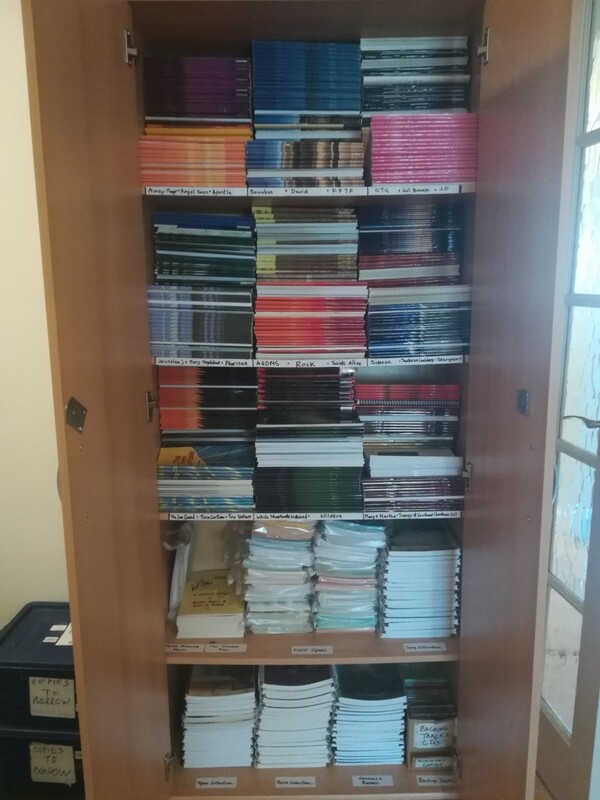 A prisoner contacted him (via his chaplain) from a reasonably local prison to say that he had got hold of Worship Works, loved it, and was wondering if we had any more similar resources we could send him. 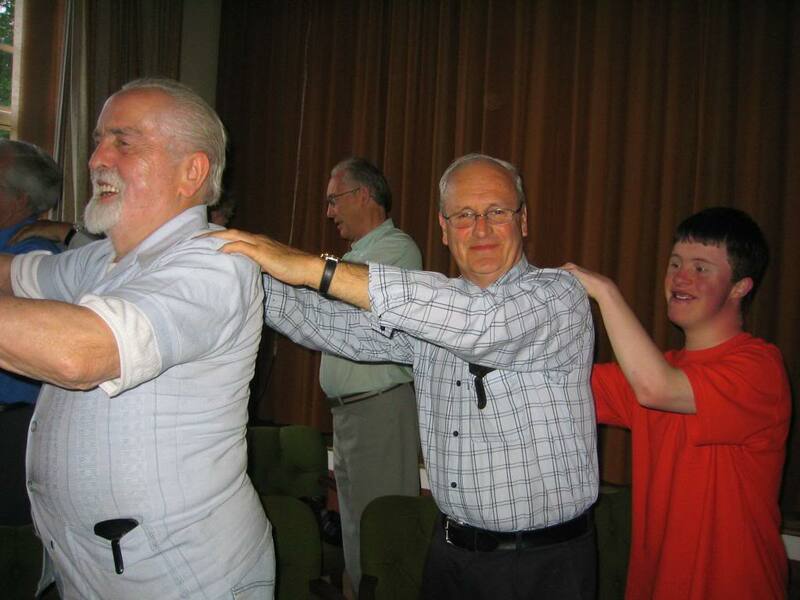 As the email conversation progressed, it turned into an invitation for Roger to travel to the prison to lead a Worship Works afternoon with the choir and other worshipping prisoners. So on Thursday last week Roger, Helen and Brian travelled to the prison to meet the chaplains and prisoners and to lead an afternoon of worship teaching. 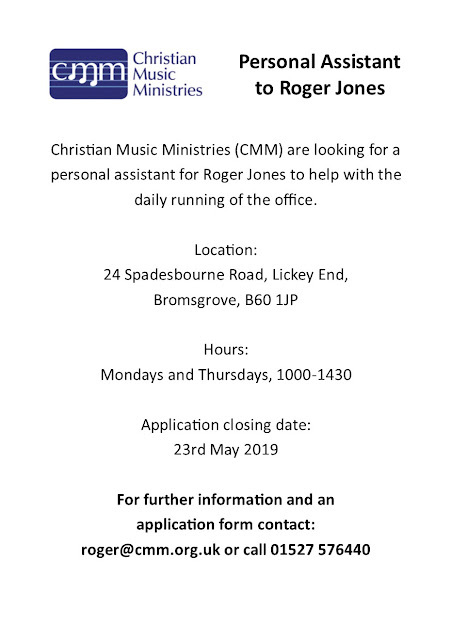 Of all Roger's works, Worship Works is probably the thing we least expected to lead in a prison, but it turned into a wonderful opportunity for some amazing ministry. There were about 30 men there in a very well-equipped chapel, and most of them formed part of the choir that had used Roger's song 'Celebrate' at Christmas. They were amazingly welcoming, enthusiastic and worshipful, as well as terrific singers. Amongst them was an excellent trumpet player and a brilliant organist! After a little break we took the opportunity to be more creative, and the men enthusiastically gave it a go, improvising along to various chord sequences and worship songs. 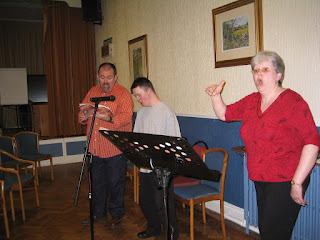 Helen was also privileged to sing 'Precious and Honoured' and 'Child, you are more precious than silver' over the men. They were so, so receptive and we hope and pray that many of them know and understand God's look of love over them, since when they are released they will struggle to find a loving welcome in the world outside. 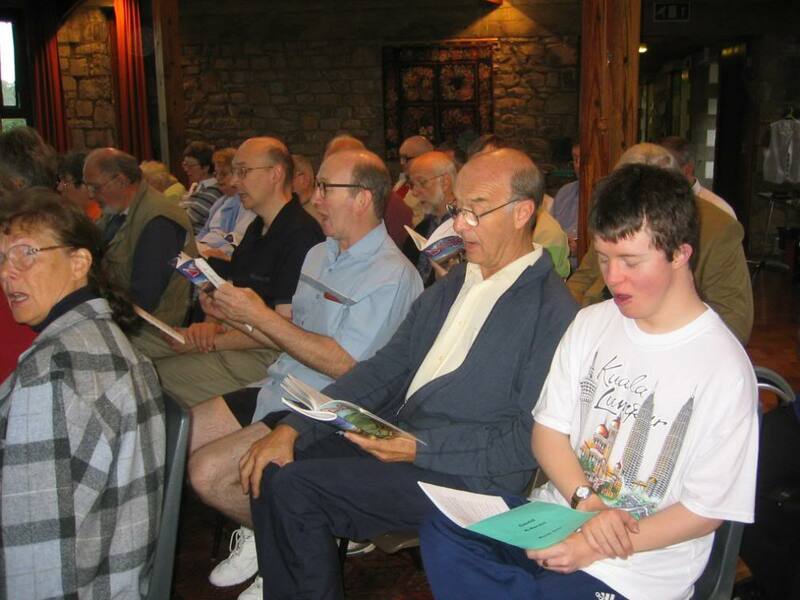 At the end of the afternoon the men sang 'Celebrate' - with Roger on keyboard (he'd never really played it before!) and Helen on guitar, as well as some trumpet and organ in the background. Please pray for the men as they look to grow in the knowledge and love of Christ and for the chaplains who guide and help them.